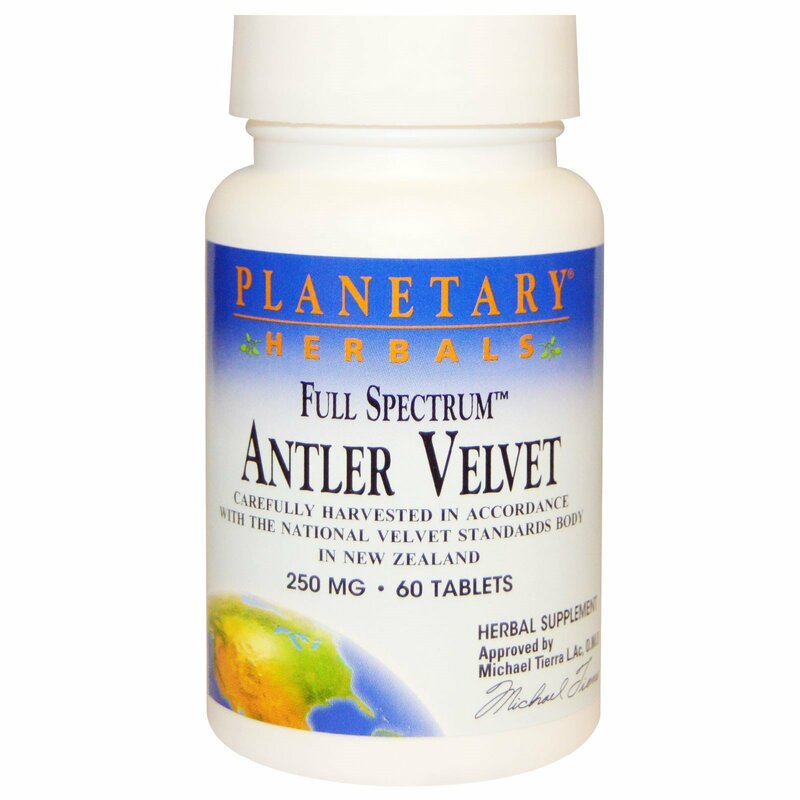 Planetary Herbals Full Spectrum Antler Velvet is a tonifier that has been widely used in China for more than 2,000 years. Antler velvet is the early stage of antler growth and is a rich source of collagen, glycosaminoglycans, and glycoproteins. Antler velvet is regenerated every year and harvested with great care in a humane manner by specially trained farmers or veterinarians who conform to the National Velvet Standards Body (NVSB) of New Zealand. Traditionally, antler velvet has been used to restore, balance and strengthen the body, support joint function, and cultivate an overall feeling of well-being. 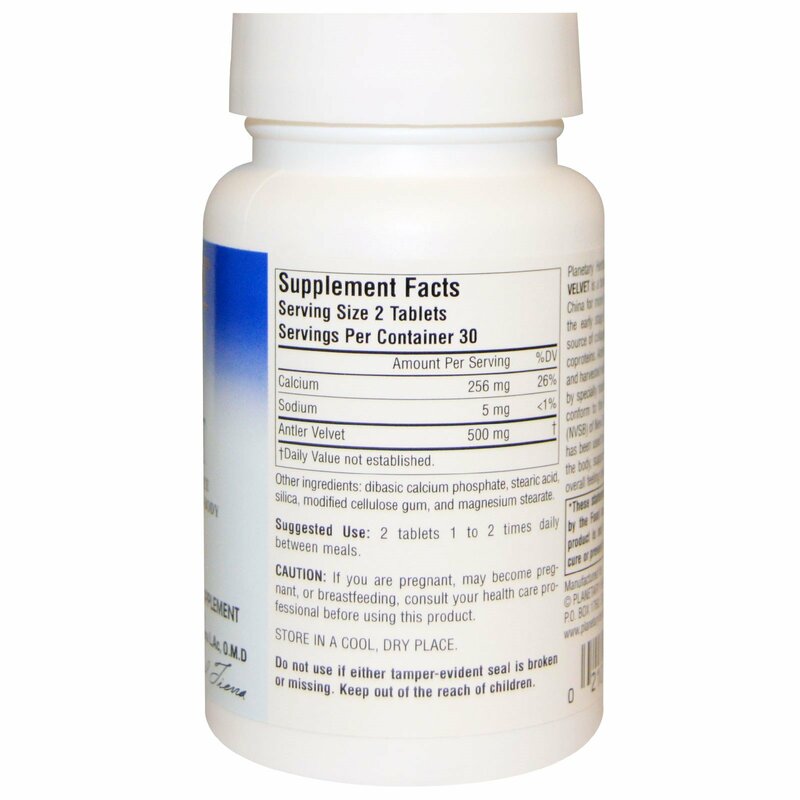 2 tablets 1 to 2 times daily between meals. Dibasic calcium phosphate, stearic acid, silica, modified cellulose gum, and magnesium stearate.